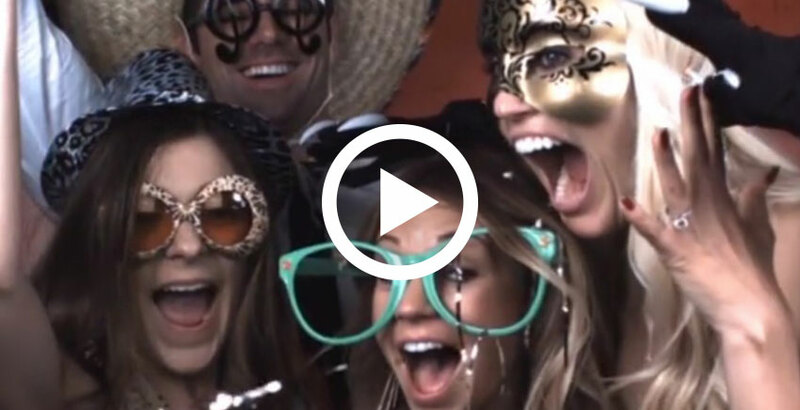 Our Slow Motion Machine creates epic slow motion videos at events that can be shared on social media! We’ve pulled off the nearly impossible! 240fps delivered with broadcast quality lighting and staging. Here’s how it works! Guests get in-front of the Slow Motion Machine while our high-speed camera records a 4-7 seconds of video. Using all kinds of kick-arse props such as hats, glasses, confetti, kendamas, bubbles you get exciting slow motion videos! The slow motion video is then replayed to them at 240fps! Yes, the sweet-spot for slow motion is 240fps! They can select a series of mind-altering images to print a bonus photo-strip, we capture their email address and then email the slow motion video to them so they can share it with the world via popular Social Media like Instagram, Facebook and Twitter! This is popular question. We use an advanced high-speed camera that shoots 240fps in full HD. We can use a wide or narrow lens. We think our slow motion speaks for itself, so please see our work. Yes, email delivery is the best. This allows everyone to save their video on their mobile device and share it via Social Media like Instagram, Facebook, Twitter, etc. We’re super happy that you’re considering us for your event. We’ve made our service packages as simple as possible for you. Just tell us how many hours you want our Slow Motion Machine for and we’ll take care of the rest. Click on “Get a Quote” below and you’ll be pleasantly surprised how instant our quotes are! As you can imagine, our Slow Motion Machine is in extreme demand right now. So, the sooner you get in touch, the sooner we can reserve your date!